For example, during any vendor showcase, I had the opportunity to talk to new customers who are looking to enter the market, established companies who are trying to grow through acquisition, companies who are heavily invested in using portals and those that don’t even touch online bookings. We understand that each and every one of you is unique. It’s the main reason that Barefoot has developed over the last fifteen years to be a customizable technology. With only one product, and fifteen years of development, we have one of the broadest technology platforms available in the market. As a result, we approach the market, and our conversations with you, differently. We want to understand you from the get go… what works, what limits you and what your goals are for the future. In fact, if we believe there is a good fit on both sides, we will sit down with you and take several hours to document every aspect of your business in a document that is then part of our contract with you. This serves as both an opportunity to redefine areas of your business that may have needed some more analysis and a launch pad for creating additional opportunities. That document is then turned over to our development team so that when you begin the training and implementation process, you are working in a database that has been tailored to your business. From there, you and your team go through an extensive, one on one, online training program. This is when we empower you to really understand your system. It’s also a great time to look for ways to make policies and procedures more efficient using technology. Finally, it is a great time to look for new ways of doing business, perhaps through integrations with one of our partners in keyless locks, marketing, insurance, etc. When it is time to go live, you and your team have done the work, have developed new ways of thinking about how to best leverage this technology to help you meet your business goals. We consider this process iterative. When there is more to do or leverage, our industry leading support team will help get the answers that you need to keep building on the strength of your vacation rental management solution. Some of you may have noticed our new booth and some of the branding. 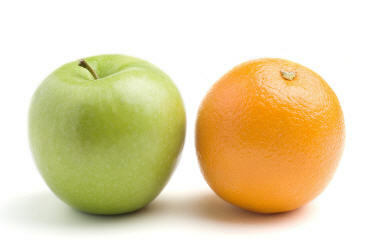 We used the apples to oranges imagery to not only represent how we see you…each of you is different. It also is supposed to represent what we bring to the market. If you are looking for a company that understand relationships and is routing for your success, well, we feel that you should consider us the apple to all the oranges out there. You have another option. We understand that technology is just a tool. We have one of the most experienced and responsive teams in the industry. If this sounds like the type of company that you would like to work with, we welcome the opportunity to have a more in-depth conversation with you and your team. Please contact us at sales@barefoot.com or you can reach me directly at claiborne@barefoot.com or 804.212.1280.